Global marketing is a balancing act between preserving brand identity and communicating a consistent message, while tailoring content for consumers in diverse markets. I would agree that a ‘one size fits all’ approach is problematic because it doesn’t necessarily consider local preferences, cultural sensitivities and the different ways people communicate with each other around the world. However, in many cases, the alternative of using regional teams to create specific content for each market, isn’t an ideal solution either. Global brands need consistency. They need to preserve brand identity and values across different markets, and these can be lost when marketing is decentralised. As well as diluting the global brand, a decentralised approach can also be slow and costly. Multiple parties working in different markets add more layers of complexity to a project, making it difficult to manage timescales and budget. With many brands launching global digital campaigns across different markets at the same time, consistency, timescales and budgets are important factors. So how do we get the best of both worlds? Consistency and a global brand narrative, but also marketing assets that work effectively in each different market? Many brands are successfully using a model where global marketing is centralised either in-house or with a lead marketing agency. The danger of this approach is that marketing content becomes standardised to make it easier to translate and localise for different markets, thereby reducing its effectiveness in each market. But there are ways to avoid this scenario by creating global marketing campaigns that have cross market appeal, but also have scope to be localised for different markets. In my experience, a global marketing strategy needs to be based on local market insights and research. By really understanding your different markets including the local culture, competitors, and how to talk to customers in that market, you can identify the factors that can make your global campaign successful (and the ones that could make it fail.) 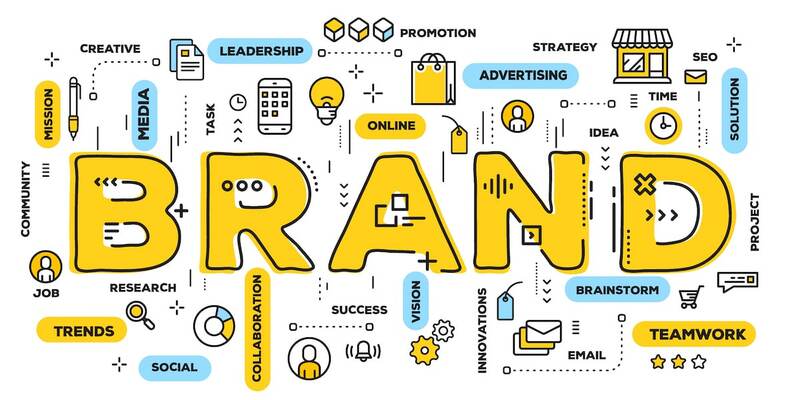 In-market colleagues, local brand agencies and other partners can all help provide you with the background you need to understand the market and make your brand communications and marketing work successfully. With this research and insight into different markets, it’s now possible to look for similarities – not differences – between markets and identify the things that have cross market appeal. These can help you develop your global brand narrative, and create a toolkit of style guides, terminology etc. that can be used across different markets. Having also identified the differences between markets, you’re in a better position to handle these effectively. My advice is not to standardise all your marketing content to avoid cultural references or any elements that might not resonate with your customers in an individual market. Instead I would aim to create global marketing assets that preserve the brand narrative and style, but can flex to cater for the nuances of each market. Local teams or partners can then advise on how to localise global assets for their specific market; to put it in context and ensure that it works effectively in that market. At this point, if you haven’t already, you’ll also find there are clear benefits to centralising your marketing translation and localisation requirements by using one trusted translation partner. A centralised approach to translation and localisation has several key advantages. Centralising the creative process ensures that the global brand narrative is retained across different markets, centralising the translation and localisation process adds another layer of protection. The processes and tools that your translation partner uses ensures that global style, tone and design elements are retained whether the content is translated into Chinese, Lithuanian or Welsh! Using local translation agencies for each market risks these important elements being diluted or lost entirely. There are also cost and time savings to be had by centralising translations. Project management is handled by one team, processes are aligned with your requirements and the translation team manage different linguists for each market. Tools such a Translation Memories can be developed reflecting global and local style & terminology guidelines, ensuring consistency across all global and local marketing assets. Where content needs to be tailored for a specific market, for example a strapline creatively translated (also known as transcreation) so that it works effectively in that market, your translation partner can draw on their extensive knowledge of the brand and your global marketing strategy. Insight is key. Working with one experienced translation partner maintains the balancing act between meeting the needs of individual markets, while producing brand content that is globally recognisable and consistent to the consumer. In summary, when developing a global marketing strategy using a global model, there is a danger that campaigns can be ineffective if they don’t connect with consumers in individual markets. However, by developing a global narrative that has cross market appeal, you can create global campaigns that preserve the brand’s identity and values, but still have scope for localisation. Ensuring they’re relevant and connect with consumers wherever in the world they live. To find out more about how we support our clients with their global brand communications and marketing, read our case study with Aston Martin here.